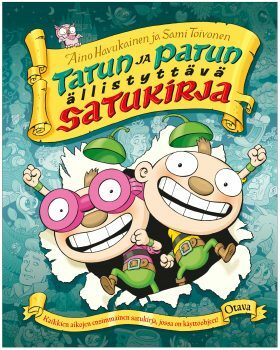 Tatu and Patu’s Astonishing Story Book revolutionises our understanding of story books and reading out loud. Interaction without technology and gadgets? Social interaction without social media? These six astonishing stories all come with user instructions. A story where the reader can adjust their voice according to the character who is speaking is, of course, pretty familiar to any reader of bedtime stories. But what about a story where you make faces in line with different emotions? Or a story where the listener can replace a pivotal word with another, or turn the whole story upside down? Reading stories has never been this much fun!